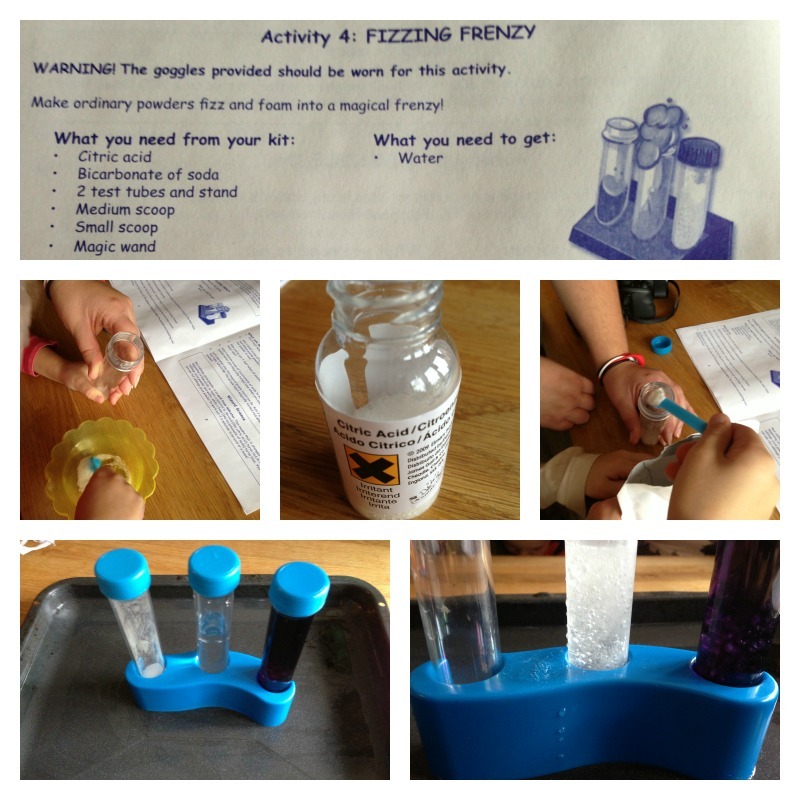 On Tuesday afternoon our friends from 3 Kids and a Gluestick came to our house to test the Science kits we had been given at the Junior Scholars event on Saturday. 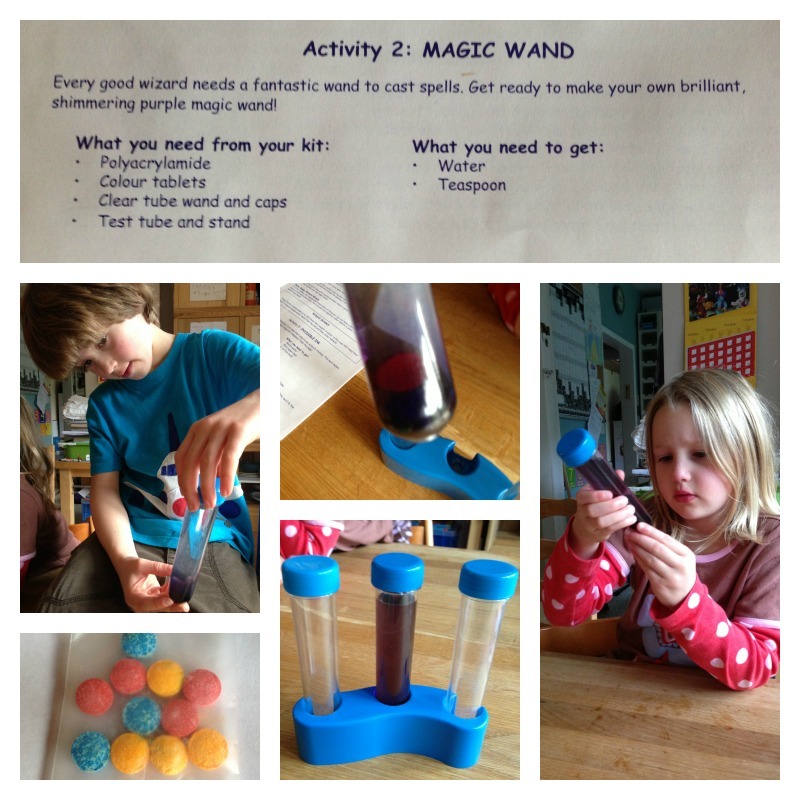 The kit we chose was Magic Science, because the children love pretending to do Magic shows, and any practical Science activities are always popular, so it was the perfect combination. The full price of the kit is £12.99, and it is currently on sale on the Junior Scholars website for £11.99. The kit includes ten activities, so I think that is very good value for money. 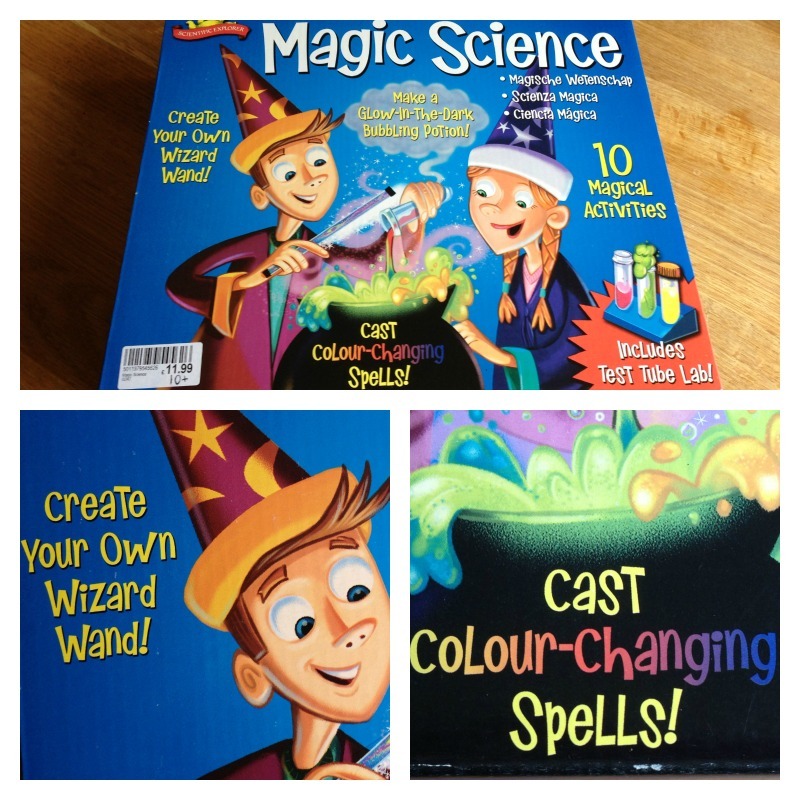 The kit contains a detailed and informative leaflet, with advice for supervising adults, safety rules and information, a history of wizards and clear instructions for completing each of the activities. The history of wizards feels a bit random among the practical information, but it is quite good fun! 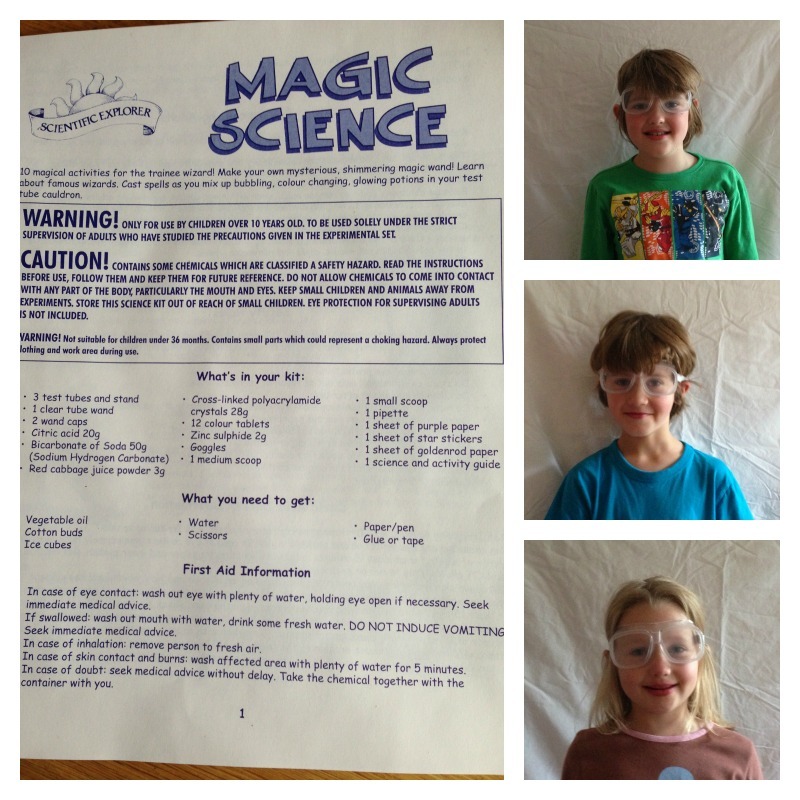 Once the safety goggles had been thoroughly tested and modelled by several of the children, we got started on making our shimmering purple magic wand! First we dropped a blue colour tablet into a test tube of water, then we added a red colour tablet to make the water turn purple. 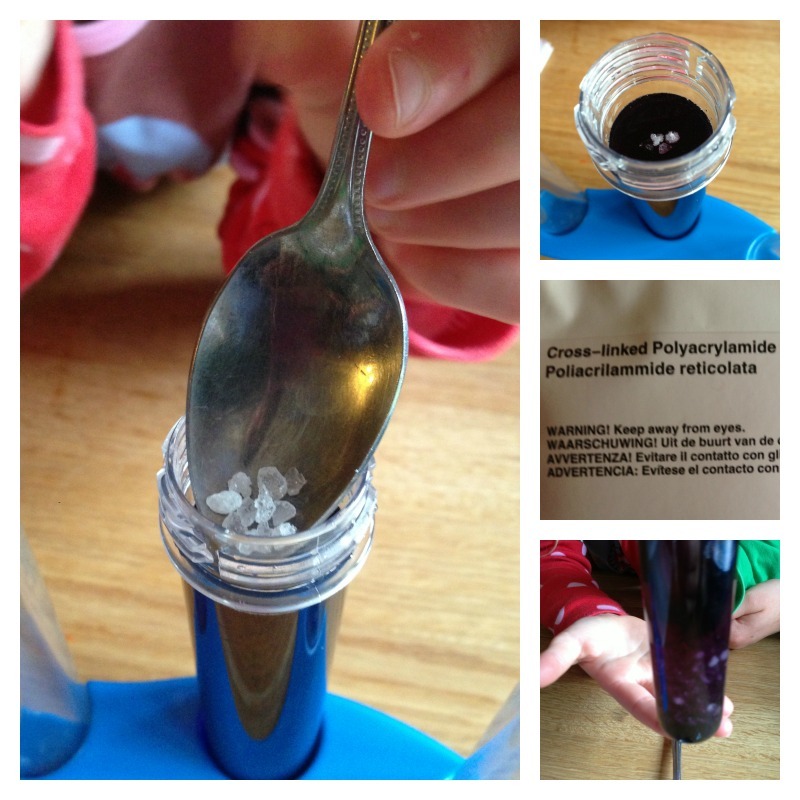 Next, we put in a teaspoon of polyacrylamide, and at that point we had to wait for an hour for the crystals to soak up all the purple water. In the meantime, we started on another activity called Fizzing Frenzy. First we mixed citric acid and bicarbonate of soda in a test tube, and then we poured water in. 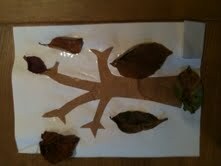 As you can see from the video, the children were suitably impressed! 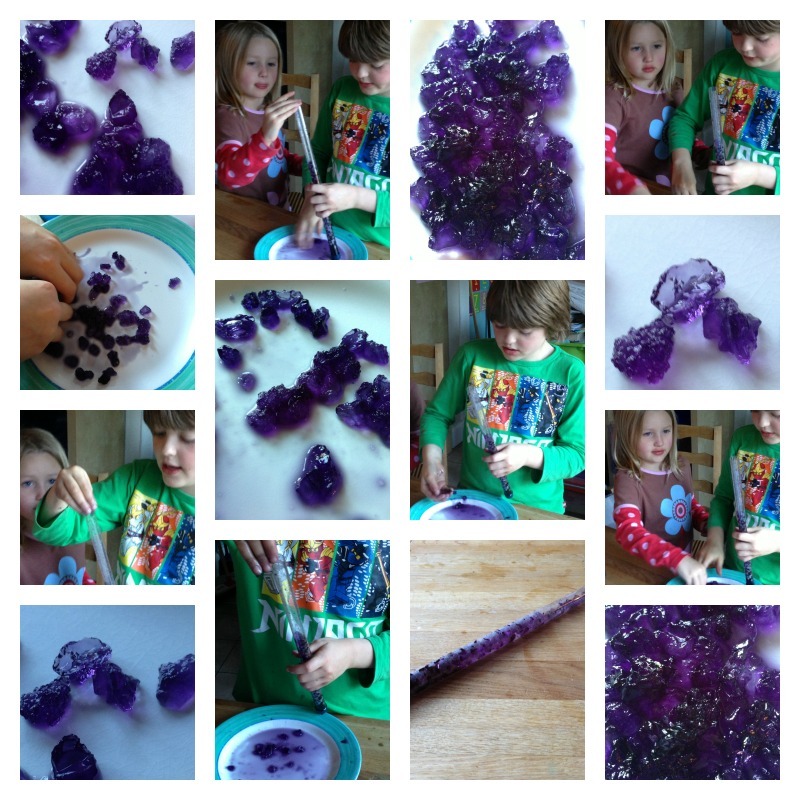 Later, when the purple crystals were ready we played with them for a bit and then used them to fill the wand tube. 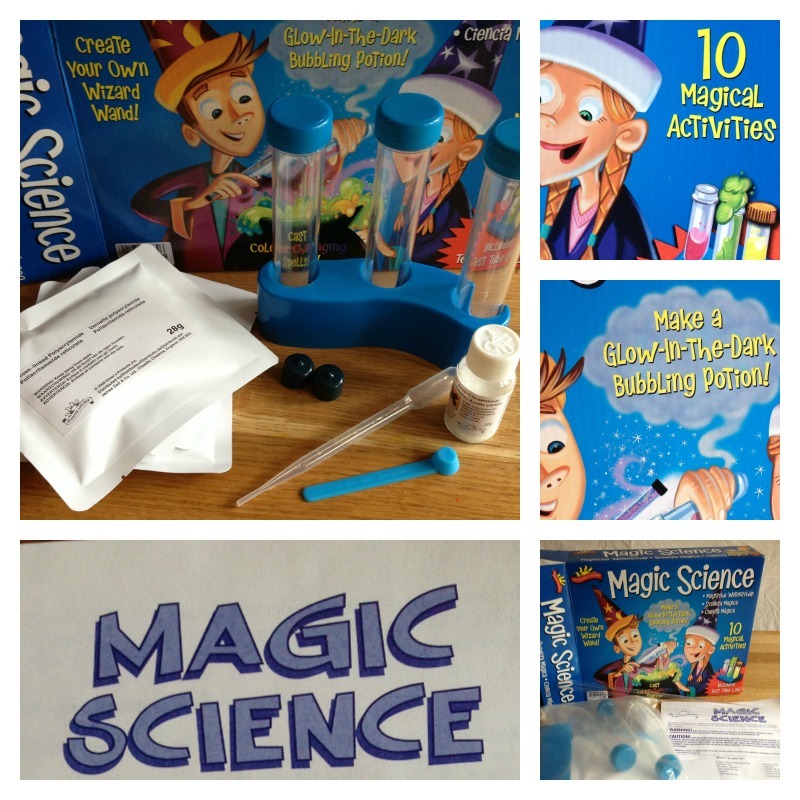 We have had many Science kits over the years, and I would recommend this one as it is particularly good value for money. It has plenty of activities, a large number of items included and very clear instructions. There is also an explanation of the Science behind each activity. Thank you, Junior Scholars, it’s a great success! We were given the kit for free by Junior Scholars. All opinions are our own. 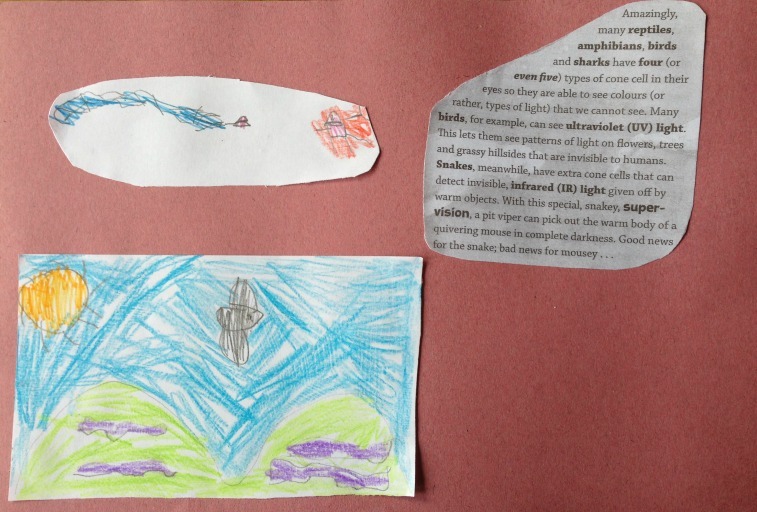 This entry was posted in Science and tagged Junior Scholars, Magic Science, review, Science on October 19, 2013 by Hannah. 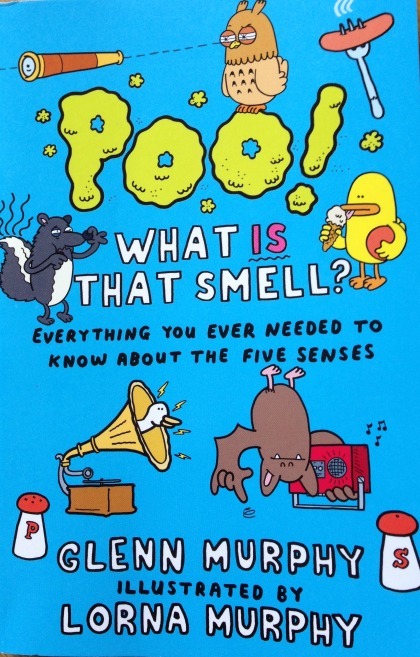 We’ve been sent another great book to review by Macmillan – Poo! What is that Smell, written by Glenn Murphy and illustrated by Laura Murphy. 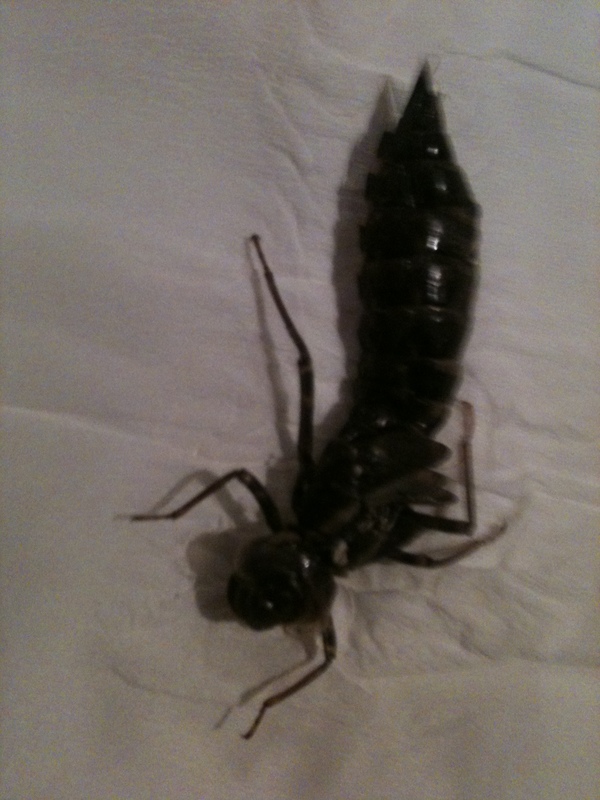 In fact, I’ll be honest, we were sent it a little while ago. We started reading it, then lost it, then found it just as I was starting to panic and think I would have to get on and buy myself another copy. Anyway, after that false start we are loving it. The title is perfect for catching children’s attention, and the book doesn’t disappoint. It is full of really detailed Scientific information, but very readable and entertaining. Don’t ask me why there are rabbits flying overhead, and animals holding up umbrellas to protect themselves from their droppings. All I can say is that the boys found it very amusing, and I hope it helps them to remember this Science fact! I am really enjoying reading this book to the children, and I’m learning a lot too! We were sent the book free of charge for the purpose of this review. 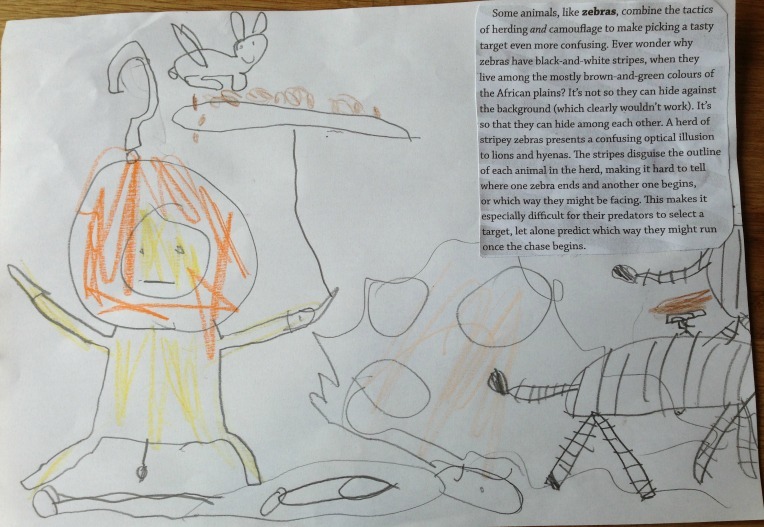 This entry was posted in Children's books, Science and tagged book review, Poo! What IS That Smell?, review on October 10, 2013 by Hannah. The man presenting the show placed a glass funnel in a large jug of oil, and put his finger in the narrow end of the funnel to keep the air inside. We could see the funnel clearly. Then he took his finger out and the funnel became invisible. 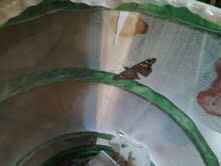 It was still there but we couldn’t see it because there was no air trapped inside and it filled up with oil. The reason we couldn’t see it was that oil and glass have the same refractive index, while air is different, so the path of the light going through the oil does not change when it hits the glass, but it changes when it reaches the trapped air. The man demonstrated this by shining a laser on it, to show how the path of the light bends when there is air in the funnel, but it is straight when there is no air. The man passed a low level of electricity through three volunteers from the audience. It didn’t hurt them but was enough to play some music. One person on the end of the line held a wire connected to a laptop which was playing music, another stood in the middle of the line, and the one at the other end held a wire connected to a speaker. When their fingers were touching the music played, and when they separated it stopped. Finally the man touched two plasma balls at once with one hand and held a fluorescent tube light with the other. The electricity passed through his body and the bulb lit up. He said it hurt a bit so he didn’t ask for volunteers this time. There was a stand about drugs, and I helped to do an experiment about caffeine. I had to use a dropper to pick some daphnia out of a jar of water and place them on a slide under a video microscope. We could see a heart beating on the screen and I had to count the number of heartbeats in 15 seconds and then multiply by 4 to calculate the number of beats per minute. We then added some caffeine and counted again, and the heart rate was higher. On another stand there was a presentation about what happens when someone is in a car accident. There was a dummy the size of a man, and some air was pumped into his chest to make it look like he was breathing. There was lots of fake blood. Some volunteers put bandages on him, and we discussed ways of making him comfortable. I helped to put a mask on his face so he could have gas and air. They said he would have to go the hospital for further treatment. Then I talked to a man about the landscape of Mars and he showed me some pictures of features of Mars to compare with similar features on Earth. 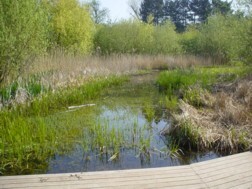 There were craters, volcanoes, plains and river beds that would once have been filled with water. After that the little ones were tired so we went home. I hope we can go again next year. 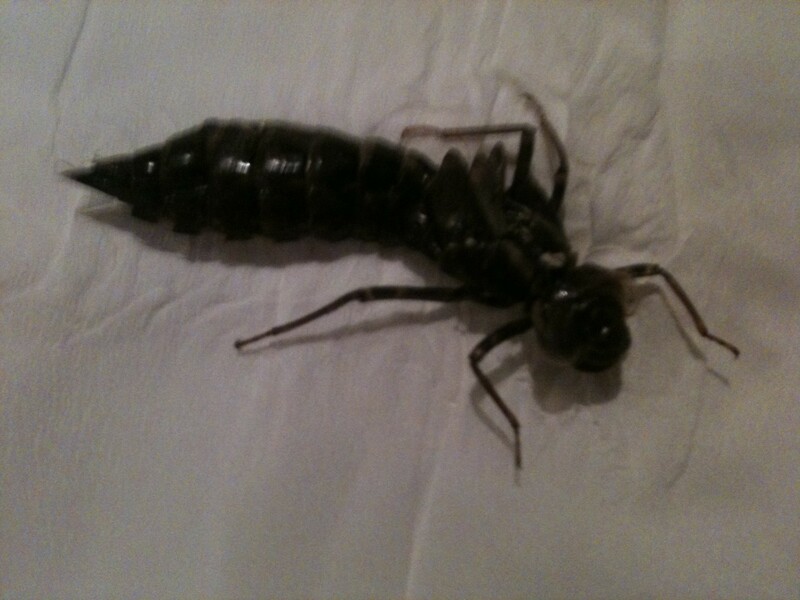 This entry was posted in Home education, Outings, Science and tagged experiments, Science on March 23, 2013 by Hannah. 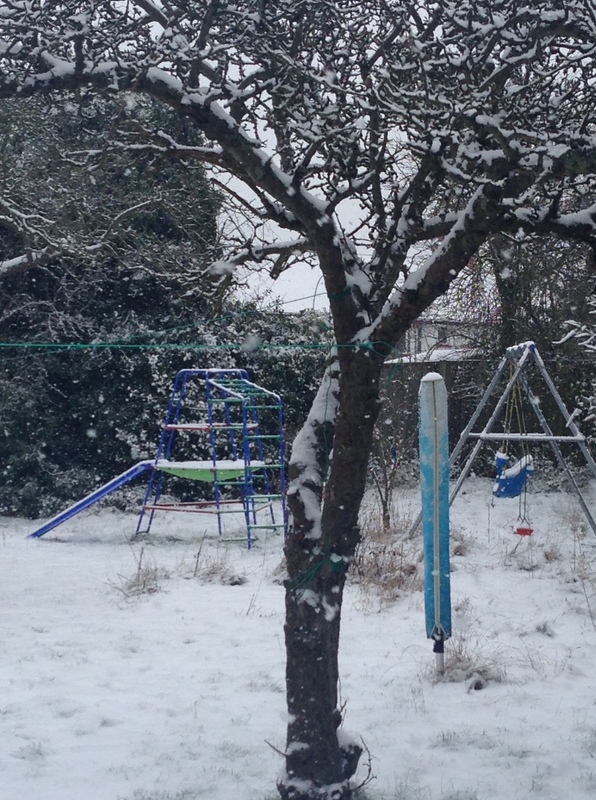 Yes, I know it was a long time ago… I was hoping to get away with it by waiting for it to snow again, and then sneaking this blogpost in so it wouldn’t look out of place, but that doesn’t look like it’s going to happen. So, I’m just going to publish it now anyway. 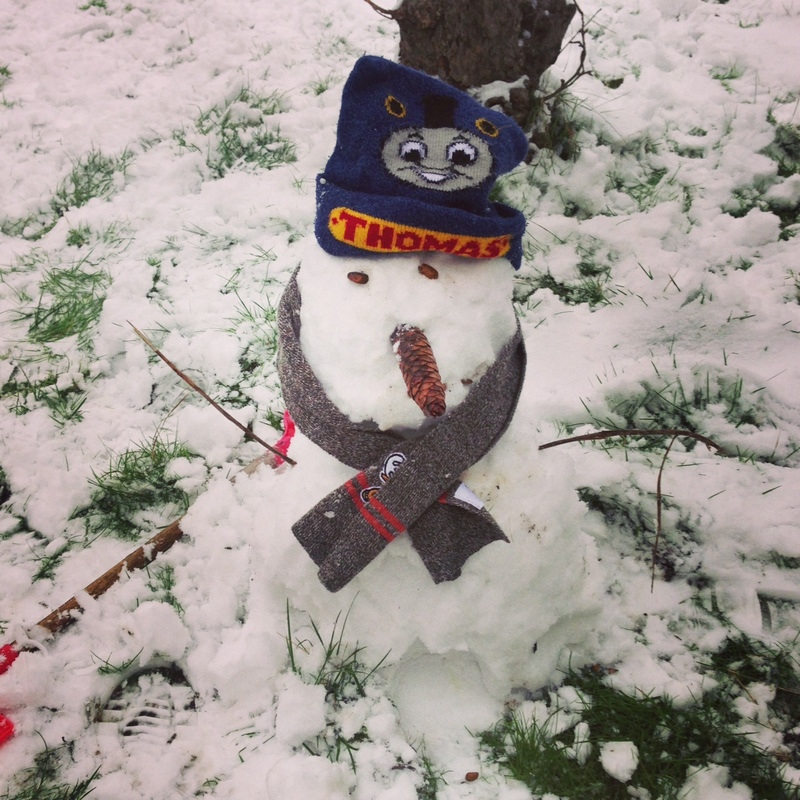 This is what we did when it snowed! 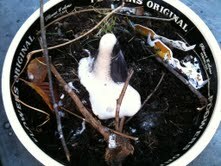 We found ice in the garden, brought it into the house and investigated it. 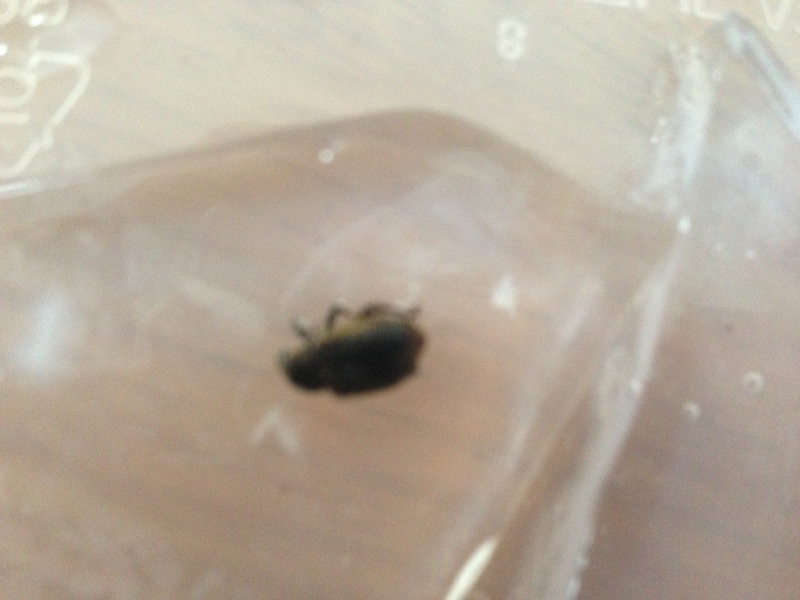 We discovered a beetle frozen in a block of ice, and melted the ice to get the beetle out. 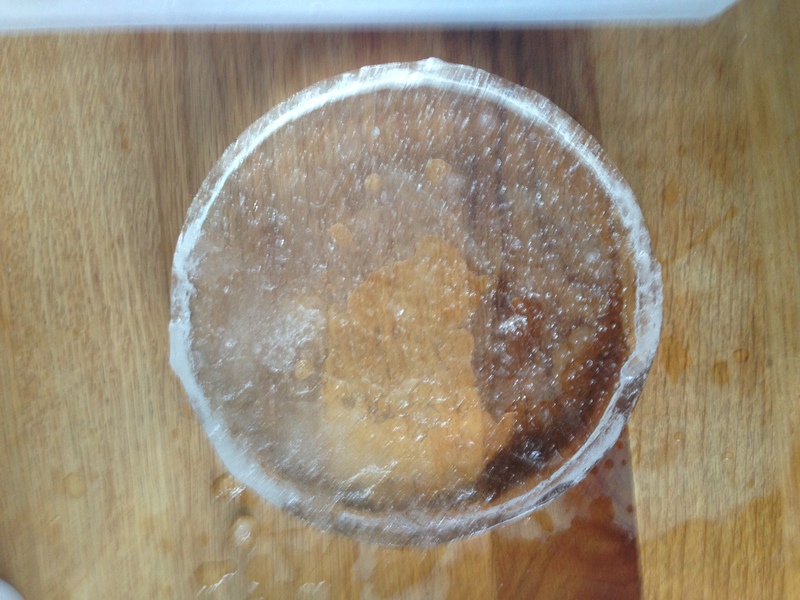 We touched the ice to see what it felt like and looked at the different shaped pieces. 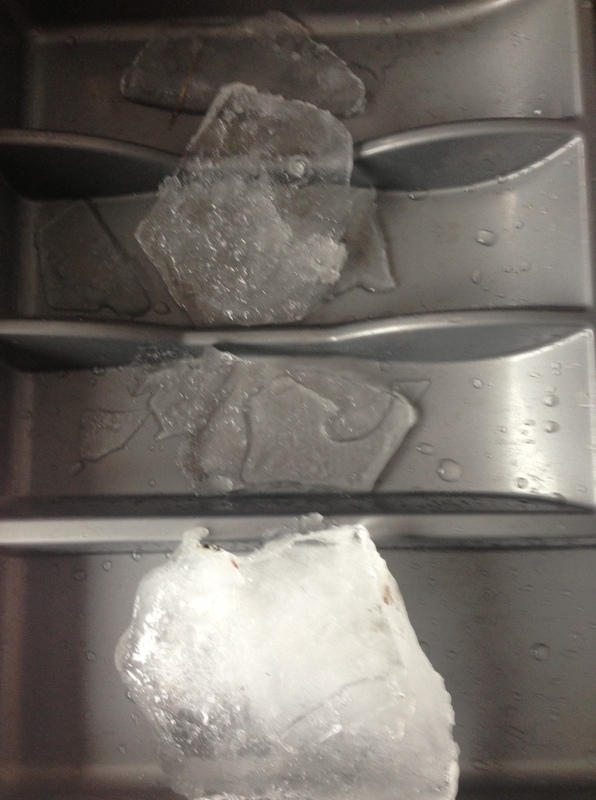 The circle of ice came from inside a bucket. 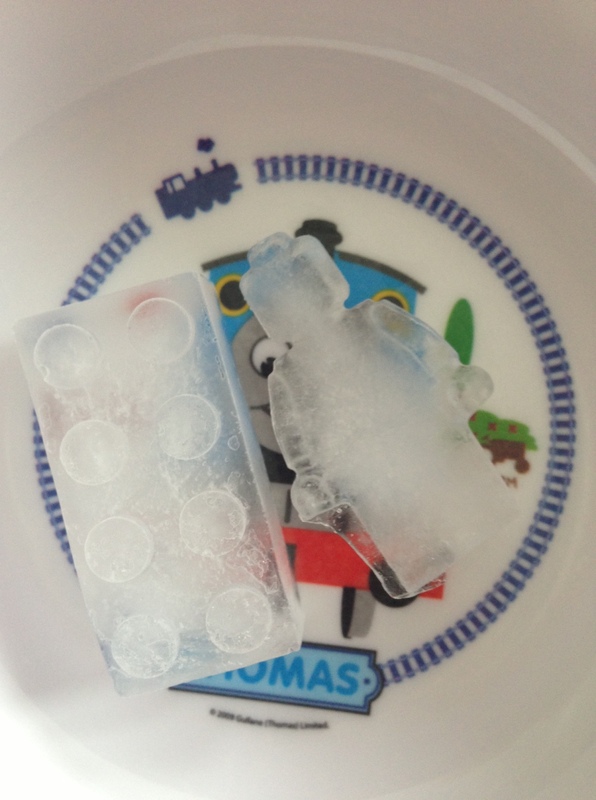 We found different ways to melt the ice, leaving it at room temperature, using the heat of our hands, placing it in cold, warm or hot water, and putting salt on it. 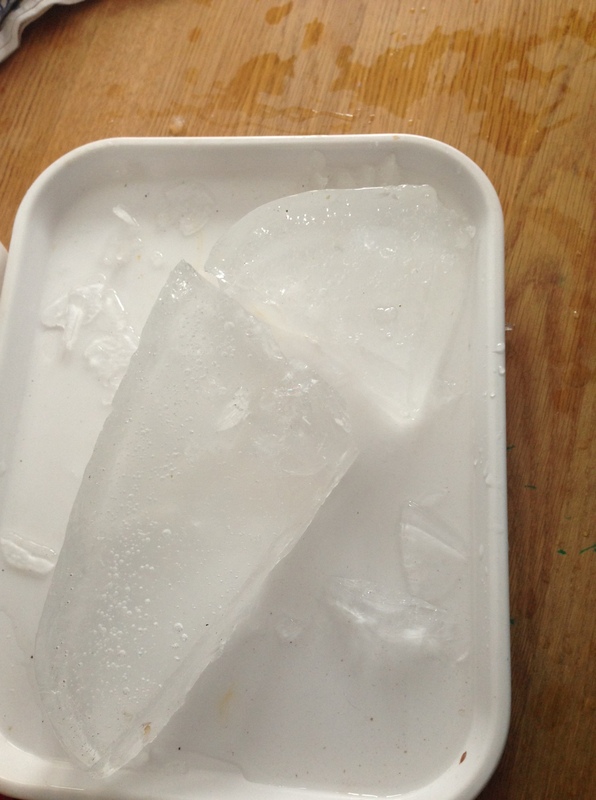 Salt was really good for breaking a thick piece of ice quickly. We put a line of salt across the middle and that weakened it enough so we could break it with our hands. 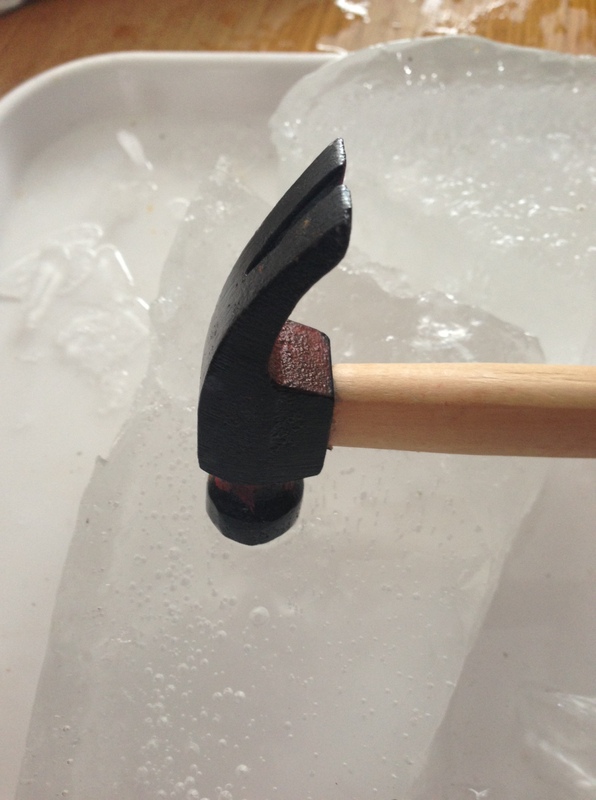 We experimented with a variety of tools to break the ice. The hammer was the most fun! We played in the garden. We made snow angels, threw snowballs, made a snowman and pulled each other on the sledge. 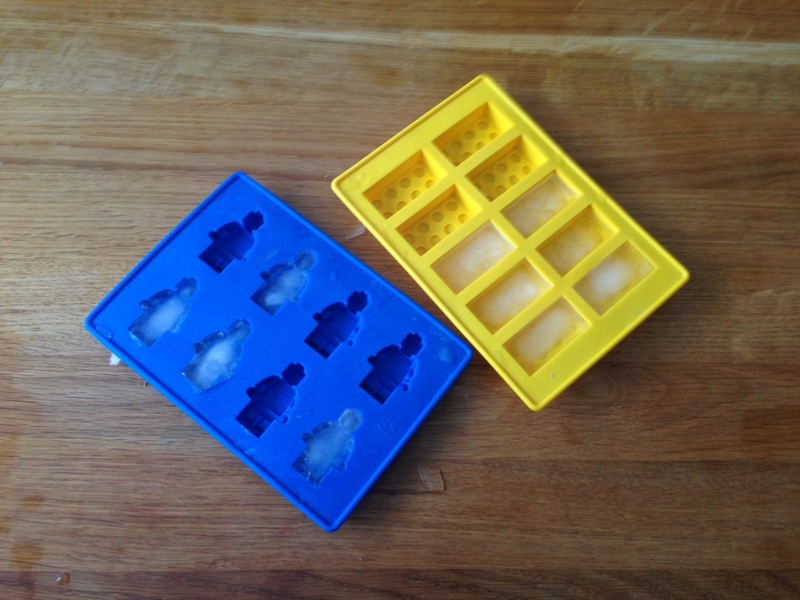 Some of us couldn’t resist eating the ice and snow from the garden, so we made some Lego ice cubes with clean water to play with and eat! 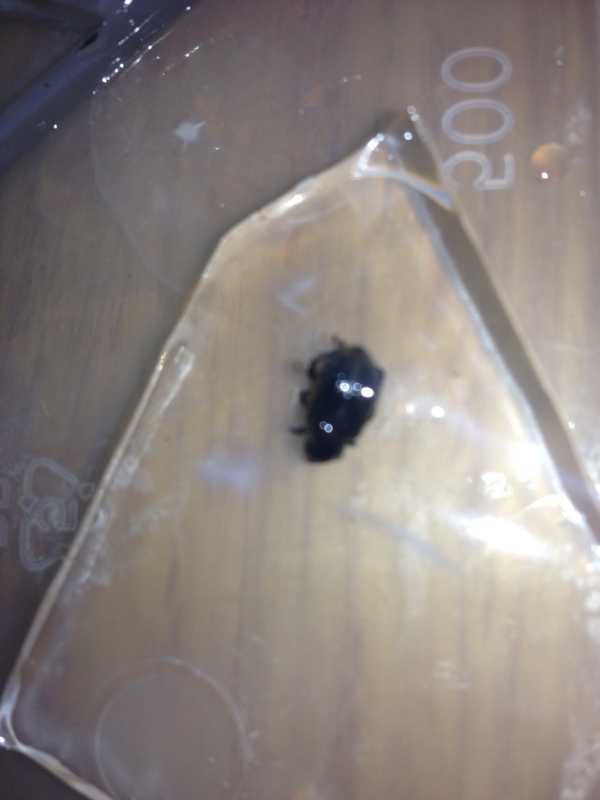 This entry was posted in Home education, Science and tagged Ice, Snow, winter on February 7, 2013 by Hannah. On Saturday 12th January, we went to Oxford. We had lunch in Cafe Rouge, and then we went to Stargazing Live in the Physics Department of Oxford University. When we went in, we were given a card with a picture and some information on it, and there were 19 cards to collect at the different sections of the exhibition. Then we went to the Hands-On room and daddy pointed out a robot which was on a wooden table with a galaxy projected onto it. When I looked more closely, I realised it was a Lego Mindstorms robot, controlled by a computer. I had to use the arrow keys to move the robot over the galaxy, and when it was in the right position it projected a star into one of the holes in the raised edge of the table. Next we tried an activity where you had to move coins around on a piece of paper, and they showed up on a computer screen which was divided into two parts. On one half you could see your coins, and on the other half a picture of a galaxy based on the position of the coins. Then we went to the Science cafe to build a virtual Lego universe, which was our favourite activity last year. You use different coloured bricks to represent quarks. 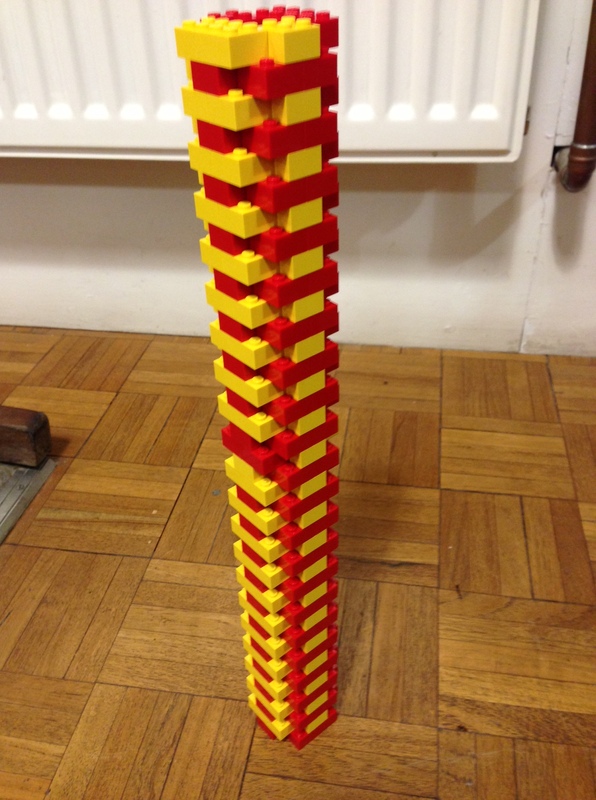 Yellow bricks are up quarks and red bricks are down quarks. I put some red and yellow bricks together to make neutrons and protons. Then I put two neutrons and two protons together in a square shape to make Helium 4. Monkey and I built towers which were stacks of Helium 4. The Lego activity took quite a long time and the little ones were getting restless, so we took a break. We went down to the Astro Crafts room and made spectrometers out of cereal boxes and CDs, and a model of a planetarium which showed the distance of each planet from the sun. 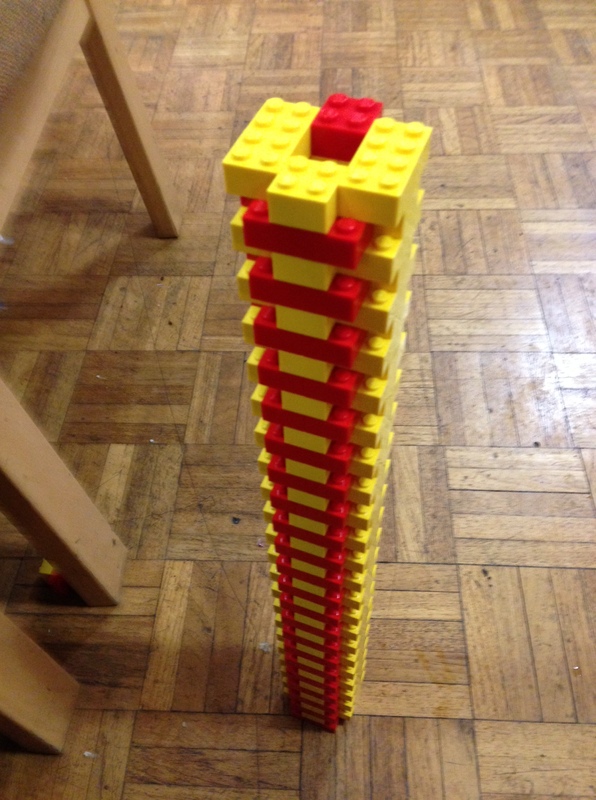 After that, we returned to the Science cafe to finish the Lego towers. We also watched a demonstration of how to make a meteor, and I crushed some dry ice (made from Carbon Dioxide) with a hammer. We ended the afternoon with some sandwiches, chocolate cake and juice for supper, before setting off on the journey home. This entry was posted in Home education, Lego, Outings, Science and tagged lego, Oxford, Stargazing on February 5, 2013 by Hannah. I am too tired to write a lot tonight, but I just wanted to share one of the most wonderful projects we have done for a while. I am very grateful to the kind aunt and uncle who gave us an Insect Lore Butterfly Garden for Christmas (the one before last) and just sorry it took us so long to get round to redeeming the voucher. We are now hooked and will have to do this every year! 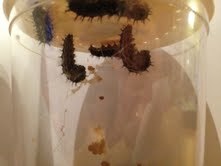 This entry was posted in Home education, Science and tagged butterflies, caterpillars, drawing on July 3, 2012 by Hannah. Today Monkey decided he wanted to learn about how bees make honey, so we read together quite a lot of the information about it from The Usborne Pocket Scientist – the Blue Book. There’s more to read, but so far we have found out about different types of bees, the anatomy of a honeybee, beehives and beekeepers, pollination, how bees make honey and different kinds of honey. After reading the book, Monkey wanted to try out one of the suggested activities which was making honey milkshake. So he and Owl and Rabbit made it together and it was a great success. Even Tiddler sliced his own banana. 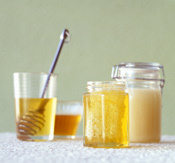 It’s a nice simple activity, suitable for all ages – with or without the scientific learning about honey! 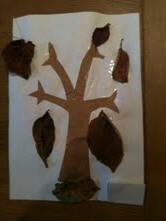 Thanks to Usborne Books for the idea. Obviously it’s a pretty simple “recipe” and there could be endless variations. Anyway, it was a fun activity to go with the topic, and I’m sure we will be making it again soon. 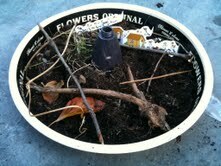 Whether our hands-on learning will go as far as keeping bees in the back garden, I don’t know. I think the idea appeals to Suburban Dad but I’m not so sure! 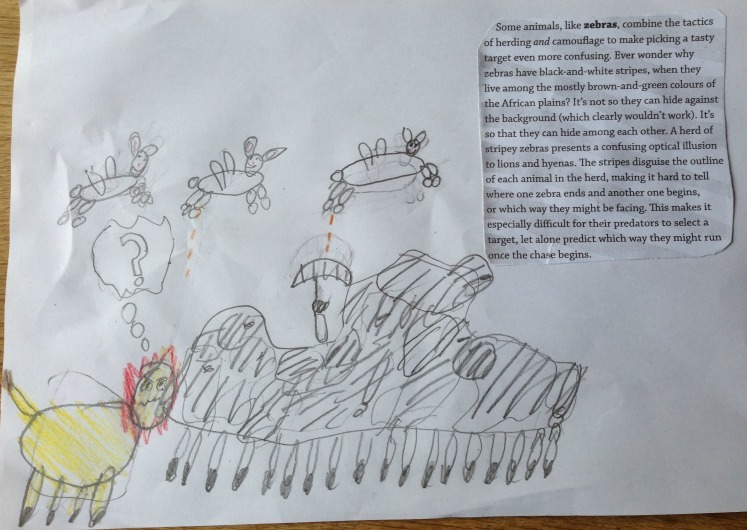 This entry was posted in Science and tagged bees, honey, milkshake, Science on May 14, 2012 by Hannah.